World-rated super middleweight Chris Eubank Jr 28-2 (21) believes it is “inevitable” he will eventually face WBC and WBA middleweight champion Saul ‘Canelo’ Alvarez 51-1-2 (35). The 29-year-old Eubank Jr is coming off a 12-round unanimous decision win over former IBF 168-pound champion James DeGale in February. The victory has renewed calls for a rematch with former WBO middleweight champion Billy Joe Saunders, who handed Eubank Jr his first professional defeat by split decision in 2014. But Eubank Jr has poured cold water on the idea as Saunders doesn’t currently hold a world championship belt. “(A Saunders rematch) will always interest me because of our history, but he doesn’t have a belt. If he has a belt it’ll be different,” Eubank Jr told No Filter Boxing. “(Canelo) is the most well-known fighter in the world at the moment and he’s in and around my weight. 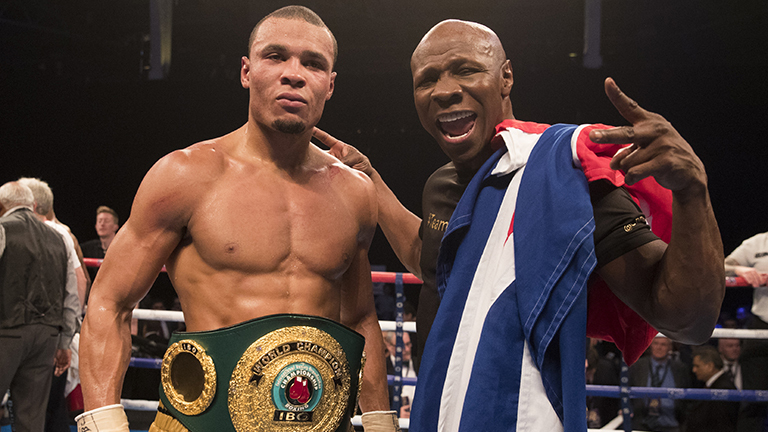 Eubank Jr is planning to return to the ring in the summer against an opponent to be named. “I’m looking to fight within the next three of four months,” he said. “I want to be active, I want to fight at least three or four times this year. Now we’re looking for collecting belts, there’s a lot of big names out there.